Editor’s note: This is a cross-post from designer Kent Mundle, originally featured on the Toptal design blog. Kent covers many topics related to smart homes, including privacy, security and determining whether owning and maintaining smart products is worth the trouble. That last point is one that we are particularly interested in here at Modern Smart Home. Thanks Kent! The smart home technology boom is upon us. Despite lucrative projections for the market, and ever increasing numbers of connected devices, we have yet to witness much social impact from consumer adoption into the home. As a potential tipping point looms, there are several debates surrounding privacy, integration and other technical issues. Yet, there seems to be less speculation regarding why consumers still haven’t bought into the hype, nor how domestic life has improved. Considering how personal the home is, should it be concerning that those advertising these products discuss quality of life less than data, energy and ‘security’? 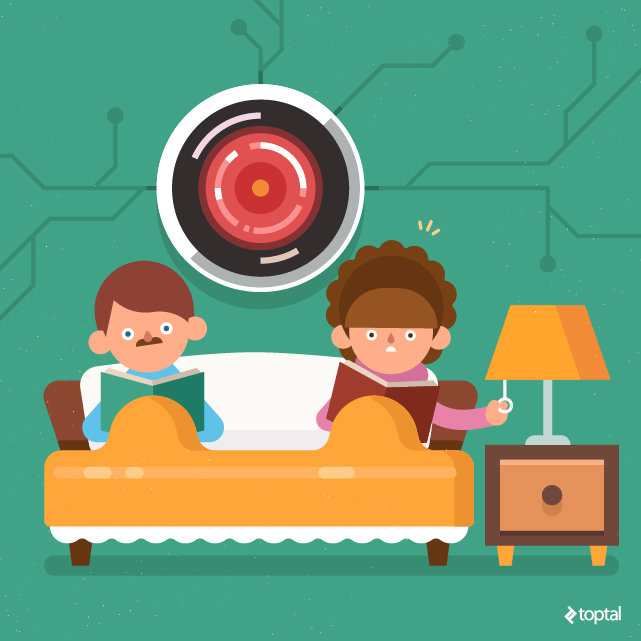 Is the adoption of the Internet of Things into our homes inevitable, or is it already here? The smart person returns to their certified ‘Internet – of -Things‘ smart home after a long day at work. The smart security system senses that the smart person is alone and initiates the ‘Friday Night In’ sequence. Inside, an intercom with a standardized motherly voice suggests that the smart person might want to order in tonight. The smart person unloads their things in the kitchen where the smart stove displays a selection of take out, rather than it’s default recipe guide. Following the arrival of the food, the smart person retreats to the living room to wind down, and watch some TV in their underwear. The smart TV prepares a selection of Netflix marathons categorized by mood. The smart person chooses: ‘Looking to be cheered up? Comedy Playlist’. Before starting the show, the smart person reviews a set of graphs that display the data from activity and diet throughout the day. A list of tips for smart living is generated at the bottom, one of which reads that based on the amount of consecutive nights that the Smart Person has had alone, they might consider investigating a selection of popular dating sites instead of watching TV tonight. At the slip of a thumb the smart person OKS the request and instantly a set of profiles are displayed, each chosen from a generated list of Smart Person’s tracked preferences. Suddenly, a flurry of pings and messages from other stay-at-home hopefuls fill the screen. The smart home intercom repeats aloud ‘You’ve got mail!’. The smart person fumbles for the remote and – oops” – the TV snaps a selfie in response to the flood of pings. Their image, sitting in their underwear eating noodles appears briefly on the screen before being whisked off into the ether. The flood of messages doubles only to freeze the system, causing the smart home to reboot. The house goes dark. In the now blank screen of the smart TV reflects the image of the smart person again, finally alone. With all the debate and headlines regarding the Internet of Things, and amounts of devices connected and market valuations – is there anyone left to ask about what will happen to the home once Smart Homes take over? The keeping of a home is one of, if not the oldest traditions that we have as humans. Does the Smart Home mean the end of the home as we know it? The home is the original place where we build our identity and mark our place in the world – the original profile. Each generation has formed its radical dwellings as their respective marks on the world. We can now look back into those past homes as windows into the past lives of those generations, their values and ambitions. 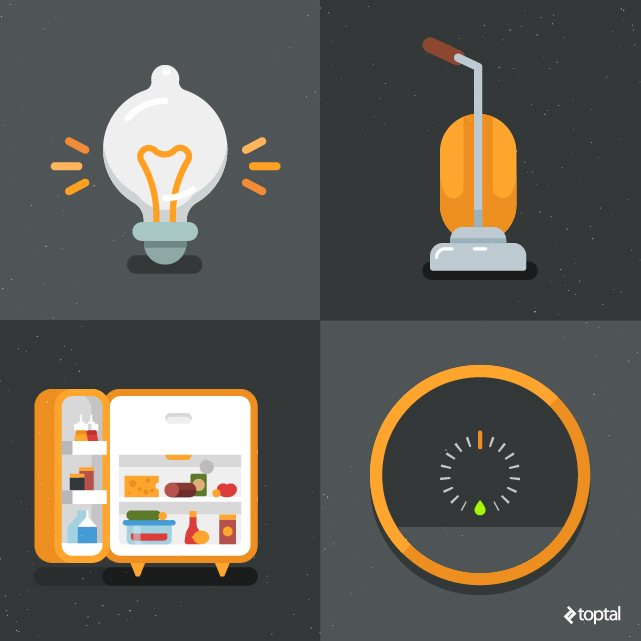 What do our Smart Homes tell us about ourselves? Or perhaps instead, what is it telling everyone else? 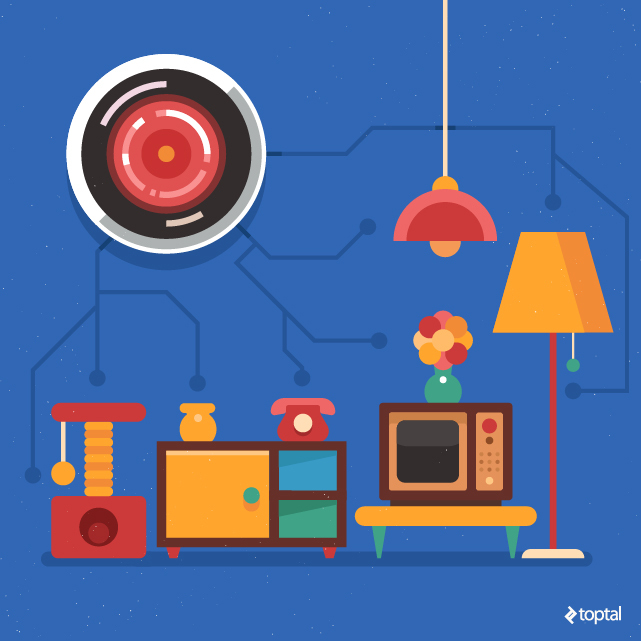 The process towards the automated home began almost two centuries ago now. When we first plugged our homes in, the light bulb gave us the night. No longer was man confined to the limits of the sun. The technology offered liberation from the natural hours of the day. Later, appliances replaced tools and everything that moved, or could move, became battery powered. The first generation of the automated home advertised better performance for leisure in exchange. More time for the family, or affording the once confined housewife to pursue her career as well. The automated home liberated us from the need to maintain it. Now, the technological trend continues to carry us through the next generation into a new domesticity. Although there will always be laments for what has passed, perhaps change isn’t so bad. If there is a new liberation perhaps it is the freedom to stay home. The freedom to sit and allow the world to visit us inside. Freedom from the outdoors. Freedom from each other. Yet, this time, is the freedom coming at a cost? The home is the original security device – the original firewall. But now, as we allow the entire world to float through our walls and into our homes, have we deflated the entire meaning of our home that has stood for millennia? We speak of security and privacy now in the context of technical systems and hardware. But have we forgotten the origin of what privacy meant? In the spaces where we were once the most intimate, by inviting the world in we are becoming the most exposed. To adopt the Smart Home, must we forfeit the home? Given the acceptance worldwide that privacy is dead, these thoughts may be obsolete falling on ears of developers and web designers. The point though is to fundamentally question what the Smart Home is offering us in exchange for what we must give it. Effectively, is the trade worth it? Will domestic life improve as it did during the first generations of automation? Or, how do we ensure, especially as the community who may be taking part in that change, that some amount of domesticity is salvaged? The Internet of Things is one of those monster hot topic terms that when we hear it, we know of its significance, and yet may know much less about its tangible effects. We may hear that there are estimates of 200 billion devices being connected in the near future, or that the market’s value is projected at 80 billion dollars. The numbers have similar significance as knowing that the earth is 92.2 million miles away from the sun. They’re very important numbers, yet most of us don’t understand the specifics, or address the numbers daily. All that most people want to know is most cases, is how is this thing going to change, or improve our life? What is resisting smart home technology from becoming adopted with the same ubiquity as smart phones today? Consider the early phases of smartphone technology. What caused them to make the leap from a niche device, to being fastened to the hip of nearly every person and their grandparent? Smart phones existed for about a decade before the market saw a significant boom. The release of the iPhone in 2007 generated a major shift as Apple was the first to design and market the device for everyday use. The elements that the iPhone introduced or improved seem to be subtle interface adjustments, and yet were able to catalyze a major shift. Thus, what might be that critical tipping point, or product for smart homes? Everyday there seems to be more smart home products to outfit your home with. Yet with each new application there is a new device, with a new remote that might connect with another new app on your smart phone. No matter how potentially helpful any of these devices might be, they appear to be novel and excessive without being associate with a greater purpose. Recently, Yves Behar released the designs for a connected garden tracking system called Edyn. The system contains two products, one to monitor the soil, and another to respond to the tracked data and irrigate the garden as necessary. With the data, the app can recommend which plants might be the easiest to grow, and what the produce might need in order to flourish. Seems pretty handy – but is it necessary enough to become widely adopted, or to really change the way we maintain our yards? Especially considering that for many, gardening is a pleasurable activity. People often garden as a meditative tool. In fact, there was a study recently suggesting that the happier someone is, the more they garden, and the more someone gardens, the happier they are. So, what exactly is Edyn suggesting that they can improve upon in this process that gardening was without before? If gardening becomes easier, what else is to be gained in terms of time in the day? Perhaps now the smart gardener can fit in another Netflix episode, rather than do the watering themselves. Hopefully one day they won’t even have to lift a green thumb at all! Imagine all the Netflix that could be watched. Now, I don’t mean to pick on Edyn too much, but my point is that this tool is representative of most smart home technology. A lot of it would be nice to have I suppose, but it doesn’t quite seem worth the cost and the trouble. The issue with the clunky interaction between multiple apps is now clear to the market, as there is a definite push towards who can develop the ‘hub’ for all smart home devices. Some of the key players so far are SmartThings, Wink, Apple is supposedly generating momentum through AppleTV, and Amazon has the device Echo. However, there so far is no real front runner, nor have many homes really begun to adopt the technology. What seems to be lacking, as was the case with the iPhone, is the proper interface that can relieve the smart home technology of all of the headaches that get in the way of convenience. Most of the processes that these technologies are looking to improve are not exactly major burdens – turning of lights, playing music etc. Thus, if the experience is hardly more enjoyable, the new technology won’t be adopted. One product, Josh.ai, has recognized this need for cohesion between devices, and focuses its manifesto towards interfacing. Josh.ai anticipates the need for programs to develop and build over time along witht the user. Eventually, certain commands become memorized such that Josh.ai will know that every morning it should slowly raise the lights, turn on the morning news, and prepare a cup of coffee. The interface takes any work out of choosing between apps, and instead responses to voice commands to manage all connected devices. Josh.ai is advertised as your home’s best friend. You even talk to Josh.ai as if its your best friend. If Josh.ai is one of the more optimistic potential hubs to move the Smart Home trend into the next stage, what does its manifesto tell us about the ambition of what we can expect from the technology in near future? Very often does the phrase ‘make your life easier and more productive’ occur in many of these manifestos. But, most of what these hubs offer is the autonomous control of small things like lights and music, how much easier will our lives get? Can this at all compare to the transition from brooms to vacuums? The three essential points of Josh.ai are: thoughtless energy saving, continuous awareness of devices, and a more networked system. How do these new values compare to past technologies that significantly liberated the average person? In the manifestos of most of these hub devices, there is hardly any language that appears human at all. Although the benefits of some of the products seem underwhelming, the issue is that even the smallest thing poses a significant risk. Take Nest for example, what could be more harmless than a thermostat? Yet already in its relatively short life has Nest been now caught for the sale of information surrounding home fire history to insurance companies. Even if the Smart Home Hub were your ‘best friend’, do you want your best friend to know everything about your preferences? How much do we even allow our actual best friends to know about ourselves? Do we tell them that we’re lonely? Who’s profiles we look at online? Even if our best friend were really good at keeping secrets, would we tell them? About that one time? Anytime that someone cries out against the inevitable, they come across as a cranky soap boxer. But this is an odd transition where there seems to be little gained by most of these products, and yet there is such significant risk in what might be lost if the technologies are adopted. Doesn’t it feel strange that in the last century our parents and grandparents marched for privacy, and here we are eagerly handing it back? Join for FREE right now and be the first to get notified on new updates, special offers and early access to our beta programs. "Have nothing in your house that you do not know to be useful, or believe to be beautiful."